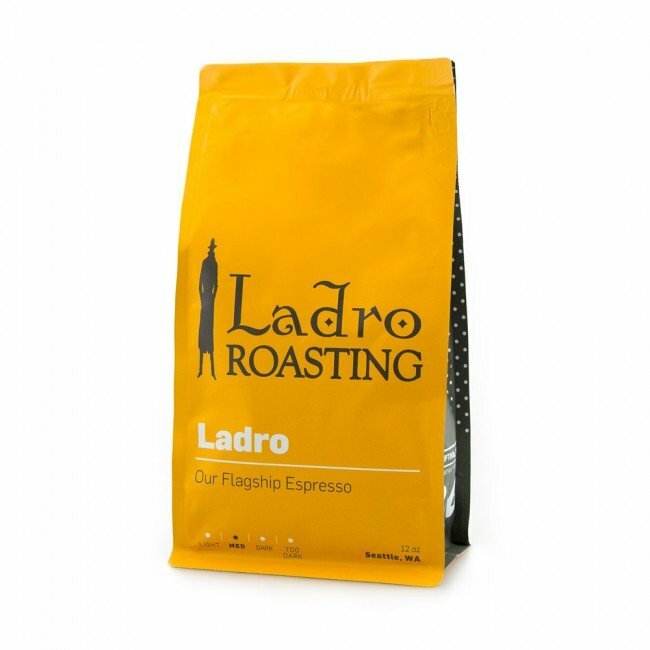 Try a sip of Seattle, embodied in Caffe Ladro's signature espresso blend. 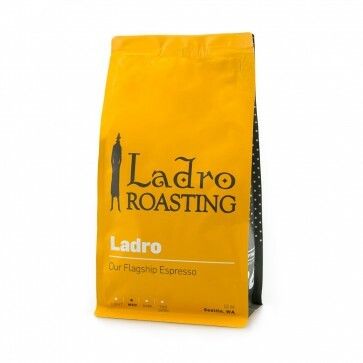 Ladro Espresso is a little spot of sunshine on a stormy day. By itself it is creamy and sweet with mild chocolate flavor. In a milk-based drink it adds layers of flavor without the addition of sweetener or syrups. It makes a balanced espresso or a full-bodied drip coffee.